If you missed it or need a refresher, read parts one and two of this series. “Arms straight but ok, Joe if you have a little bend”; “More patience”; “Setup closer to the bar”; “Don’t let the bar get too far away”; “Get in that power position”; “Lock out the legs before the jerk to rest”; “Controlled dip”…there are so many more. But they all came to me, clearly and in order. And then it happened. I made the lift! Not that it mattered but for my last lift I tried 84kg(185lbs) and got the clean, but dropped it without attempting the jerk (I couldn’t get it off my throat and when I did, I was exhausted). 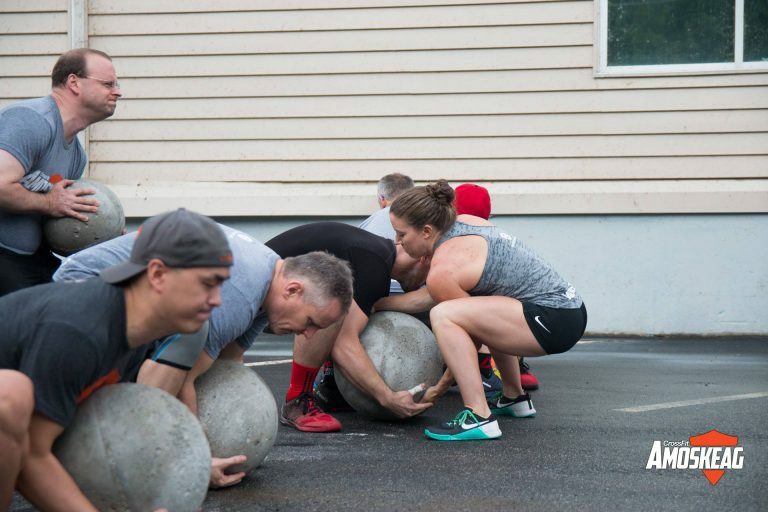 Atlas stones are great for working that midline. The Nike American Open Series. I’ve selected to go to Series 1, the first of 3 they have in the year. Why? Because this year it’s hosted by The Arnold!! Yes, the Arnold Fitness Festival!! Here’s a secret that I told only a handful of people. As soon as I learned of AOS, I set a new goal: I will be lifting at the AOS and standing on the podium. Around me is boundless opportunity. Why should I fear? Results from month 1: Going easy in week 1 really energized me for class and weightlifting. There was only 1 weightlifting session where I felt like I had enough before I finished. Ben, the Olympic lifting coach, had recommended that I continue to work on strength. And I have been with a bit more squatting- and it’s been fun! Looking forward to this upcoming month of training where the weights and volume get a little more intense. 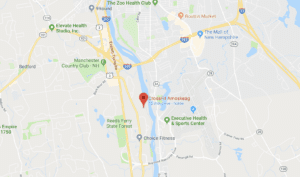 CrossFit Amoskeag is hosting a Fundraiser on Saturday January 20th to help send Joe to the AOS Arnold’s Classic in March! Get full details here or use the form below to sign up and/or donate.